A thorough rethinking of a field deserves to take a shape that is in itself new. Interacting with Print delivers on this premise, reworking the history of print through a unique effort in authorial collaboration. The book itself is not a typical monograph—rather, it is a “multigraph,” the collective work of twenty-two scholars who together have assembled an alphabetically arranged tour of key concepts for the study of print culture, from Anthologies and Binding to Publicity and Taste. Each entry builds on its term in order to resituate print and book history within a broader media ecology throughout the eighteenth and nineteenth centuries. 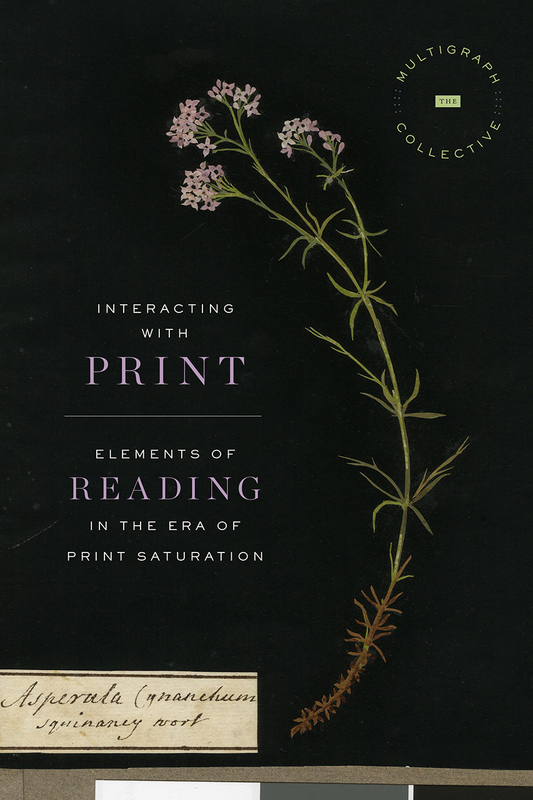 The central theme is interactivity, in three senses: people interacting with print; print interacting with the non-print media that it has long been thought, erroneously, to have displaced; and people interacting with each other through print. The resulting book will introduce new energy to the field of print studies and lead to considerable new avenues of investigation.